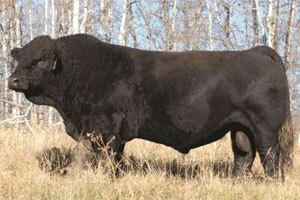 We traveled all across Southern Saskatchewan and all the way up to Spruce Grove to look for a Walking Herdsire in 2013. 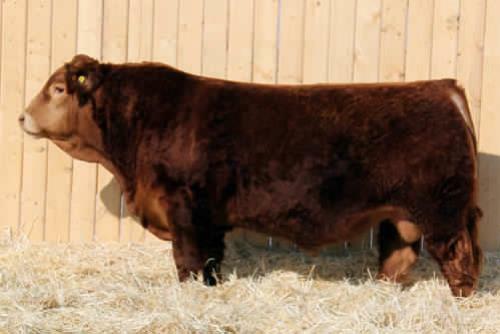 LFE Stubby 813Y was one of our top picks of the red bulls and we feel very priviledged to have aquired him. He was the Lead-off bull at the Lewis Sale and ended up being the high selling red bull at $20,000. He is very correct, with excellent feet and legs, loads of base width, and a big, well muscled hip. He has great rib shape and width over his top and a really nice head. The "Stubby" sired calves were some of the most uniform an correct we saw on the entire bull run. 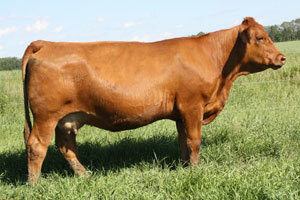 His Dam is a larger framed, flawless Red Ace female with a perfect udder out of the Amber cow family. 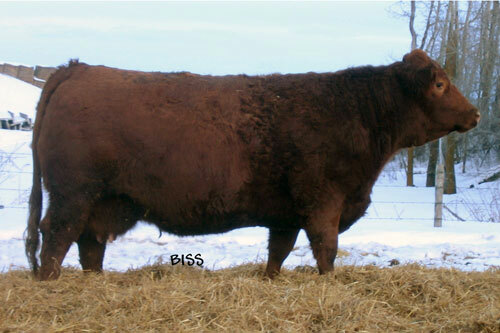 813Y had a moderate birth weight and works on well grown heifers.